HAMEG Instruments GmbH is now getting closer to Rohde & Schwarz GmbH & Co. KG. 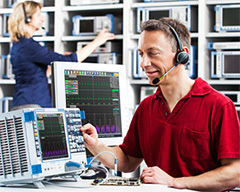 Order processing and after-sales services are now handled exclusively by Rohde & Schwarz. These high-quality, cost-effective T&M instruments enhance the Rohde & Schwarz product portfolio in the lower price segment and ensure continual growth. Effective immediately, they can be found under the oscilloscopes, signal & spectrum analyzers, EMC & field strength test solutions, signal generators, meters & counters and power supplies categories on the Rohde & Schwarz website, making it easy for you to find the right product for your applications. If you need help selecting or configuring your products, please contact us. The R&S®HMO oscilloscopes enhance the Rohde & Schwarz portfolio with instruments offering bandwidths of 50 MHz to 500 MHz. Use the correct power supply unit for industrial production and other applications. 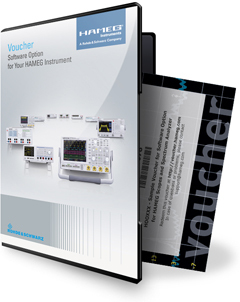 All data sheets, firmware and options for HAMEG products are now available in the Rohde & Schwarz download area. You can easily upgrade all available options (HOO... / HMS...) for the HMO oscilloscopes and HMS-X spectrum analyzer at any later point in time. This is done with option upgrade vouchers (HV...) available at your dealer. The voucher number and the serial number of your instrument enable you to generate the respective license key directly on our dedicated web page. We are happy to announce that all previously labeled HAMEG products sold after October 1st, 2015 include a three year warranty based on the terms and conditions of the HAMEG Value Service. 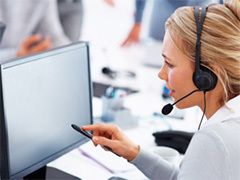 Whatever problem you have, our support center is there to help you. Your question will be dealt with fast and in detail.